HD Voice is activados es encendido. Desde la pantalla de inicio, ve a: Settings (Configuración). > Advanced calling. To proceed, review the Terms and Conditions, tap the check box then tap CONTINUE. Tap Wi-Fi Calling switch to turn on o desactivar . 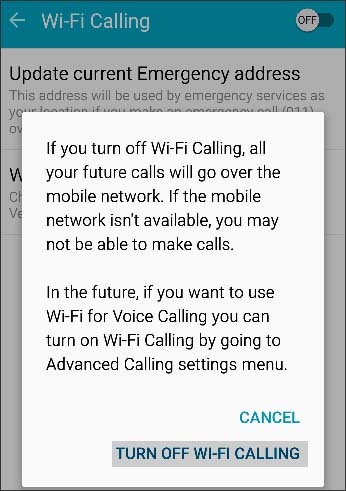 If turning off, tap TURN OFF Wi-Fi CALLING.